To be honest I wish I could have spent a few days in this quaint little fishing village. The people are so friendly and willing to chat that I got caught up, and ended up not having enough time to meet half the characters I wanted to. On going into the village itself the first person I met was one of the local constabulary standing in a very pretty garden in front of his neat house. What a nice guy. He told me about which roads I should take and which to avoid when he heard that I wanted to visit Koingnaas on my my back to Kamieskroon. A colourful flower bush in the policeman's garden. 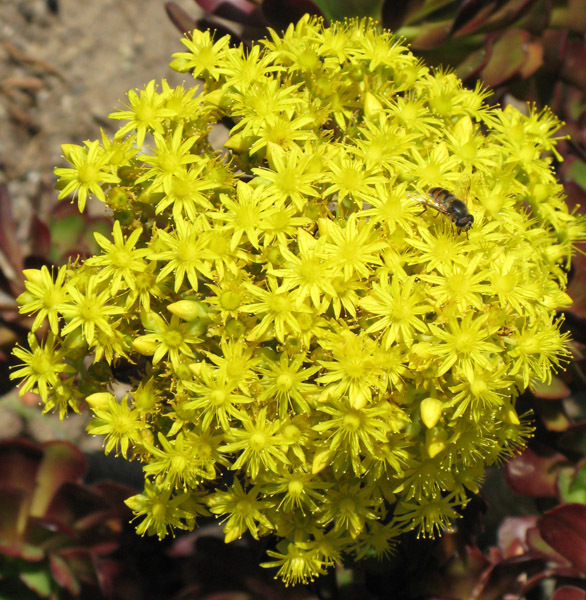 The bee loved it! About a hundred meters from the policeman’s house I came to the little harbour which has been used for many different purposes over the years – shipping copper ore, as a base for the diamond diving boats and for the fishing and crayfishing boats. The fish and chips shop right at the edge of the beach. The four in picture placing their orders, all residents of Hondeklipbaai, were very friendly and invited me to sit down and have lunch with them. 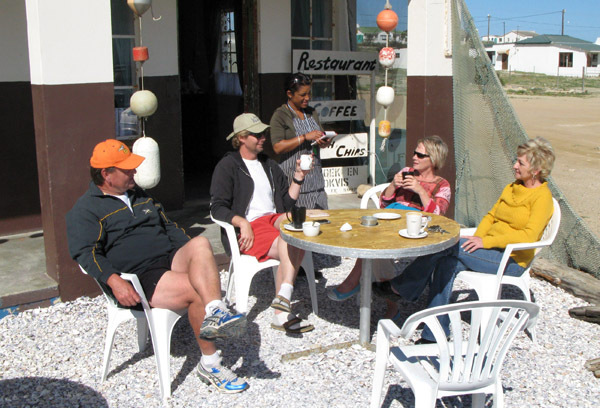 The guy on left of picture and his wife, 3rd from left, have had a plot in Hondeklipbaai for 10 years and over time built a house and moved in permanently just over 9 months ago. The guy 2nd from the left, Stanley Cierenberg, is an artist and also runs a small art gallery from his home. Stanley sitting at his favourite spot for tea and breakfast. 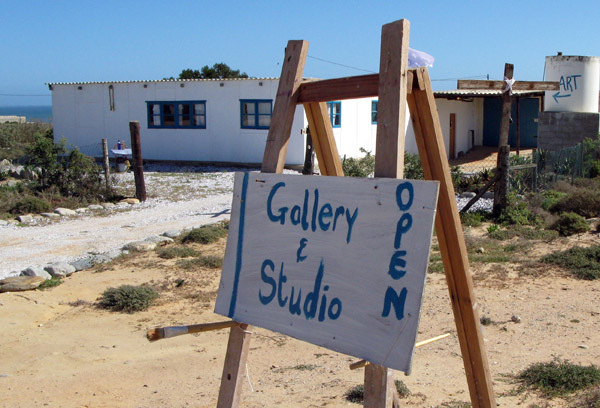 One of the artists on display at the gallery is local photographer “Roberto”. 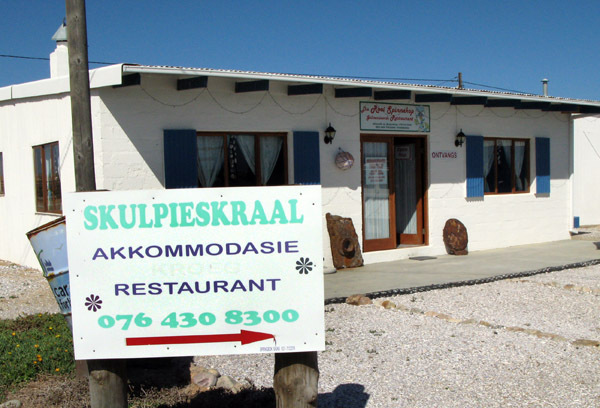 Roberto and his wife Dawn also run a restaurant, and offer tented self-catering accommodation called Skulpieskrall. Skulpieskraal tented camp comprises six comfortable tents with two single beds and bedding in each. 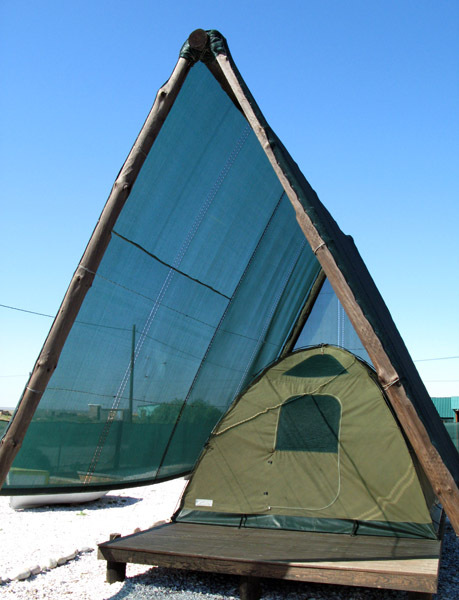 The tents are pitched on timber decks under A–frame structures which are covered with shade netting where one can relax and enjoy a late afternoon sundowner. Die Rooi Spinnekop Restaurant run by Roberto & wife Dawn. 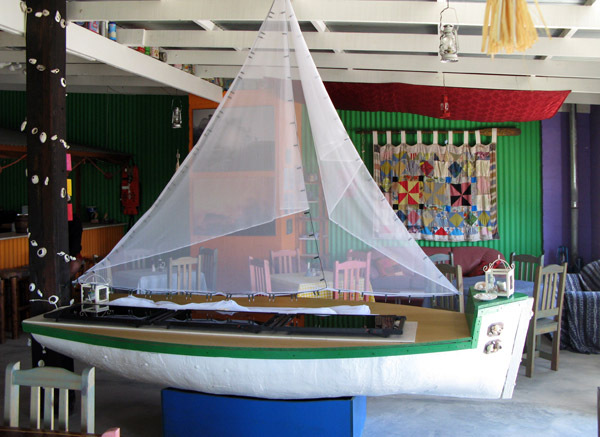 This sail boat is used as a serving table. Unfortunately Roberto was not available to have a chat so my friendly guide, Stanley and I moved on as I was a bit worried about what I still wanted to see and do and it was getting late. 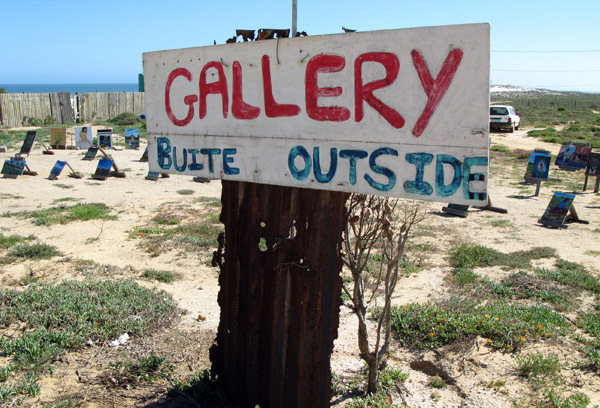 The Outside Gallery run by Villain. 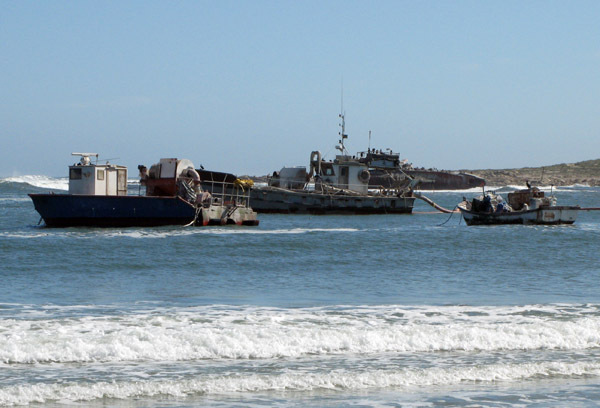 A wreck in the harbour area. While I was sitting at the Fish and Chips shop having a bite to eat I spotted this wreck on the other side of the bay. I have no idea what, how or when but thought it looked quite dramatic and I also wanted to a view shot of Hondeklipbaai from the same angle. 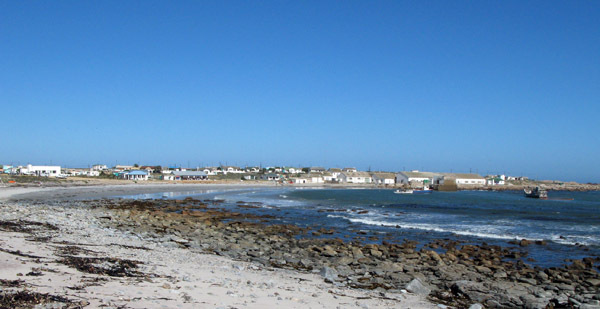 View of Hondeklipbaai across the bay. It was getting quite late, and I still had a long way to drive, so I reluctantly left and started the rest of my journey for the day. I also wanted to make sure that I did not have to drive on the gravel roads in the dark. I should probably have stayed longer in Hondeklip than try and rush through to Koingnaas as there was just not enough time to get signed in at security and get to have a look round the town. So once again I was on my way and hoping to see flowers on my way to Soebatsfontein. I don’t know if it was to late in the day but I saw very little in the way of flowers. What I did get was the worst road I have travelled on so far in my journey and thought the old Pajero was going to get shaken to pieces. 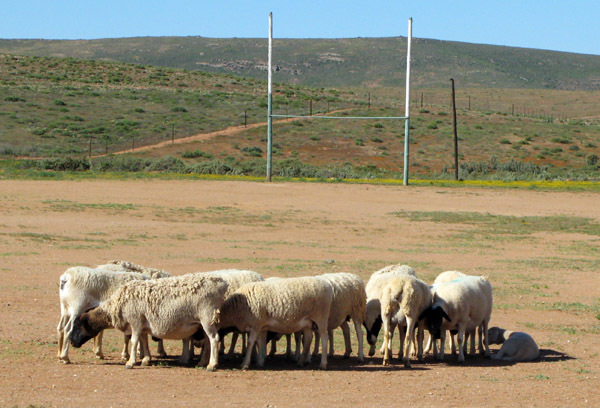 I did find something interesting at Soebatsfontein and that was the Wallabies (Australian Rugby Team) having a secret scrummaging practice in preparation for the rest of the Tri Nations Rugby Competition. All in all a good day but I do wish I could have spent a least 3 or 4 days exploring Hondeklipbaai and its interesting, friendly inhabitants. There is such a great attmosphere there and all seem to live in peace and harmony. Now that looks like a place to go for a week’s holiday! I’m sorry you couldn’t spend more time there. I take it there’s another, better road to Hondeklipbaai from Cape Town than the one you took? All roads to Hondeklipbaai are gravel. The 1st one is from near Garies and that is the one the students flipped there car on. Dad, perhaps you can find some maps or something to show exactly where you are? I’ve never *heard* of these places! Next time I go out, hopefully October, I will take my little scanner and a small printer with me. 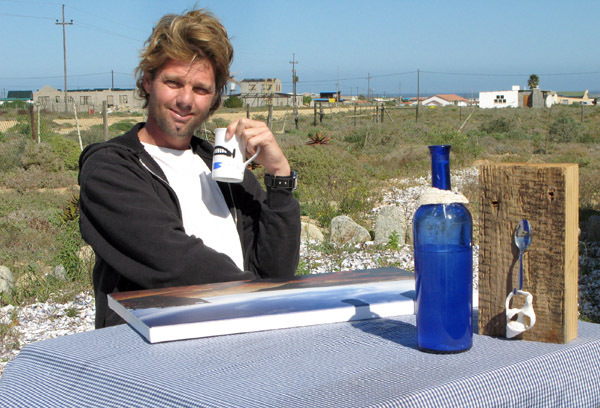 If you look at the SA coastline starting at Alexander Bay it goes to Port Nolloth, McDougalls Bay, Kleinzee, Koingnaas, Hondeklipbaai and then Strandfontein where I am now. Thank you for the posts. I really enjoyed reading trhough your blog. 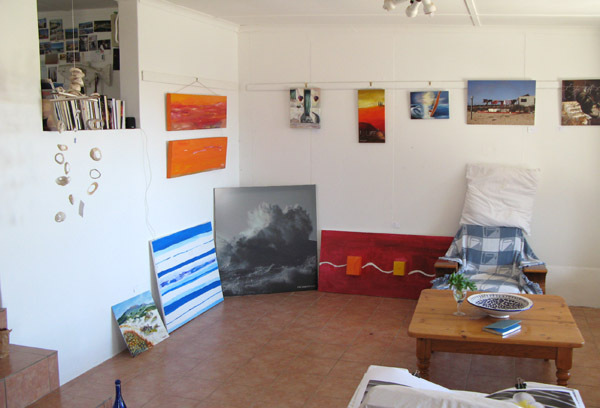 I also like the pics you took of my gallery and ‘my favourite breakfast place”…. please come visit me again…. Ek het 1994 hierdie plekkie ontdek, ek het dadelik vir my ouers gese dat ek hier tot rus wil kom. Hulle het my uit gelag en gese jy is nog te jonk om so te droom. 2009 was ek weer daar met my kinders en het besef dat hierdie plekkie nog onder my vel wegkruip! 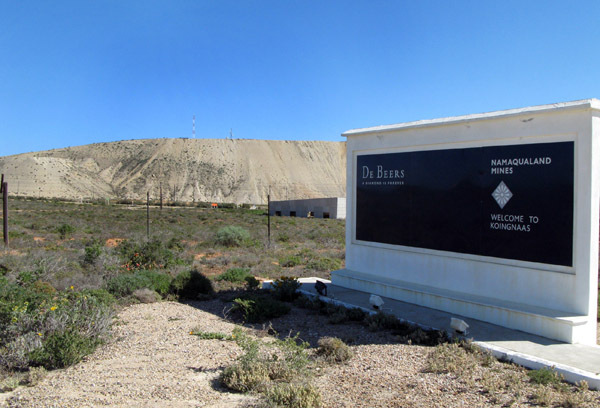 Ek wil baie graag n erf daar aanskaf maar ek hoor dat hierdie gemeenskap nog sukkel met water en elektrisiteit. Nietemin hierdie plek is vasgebrand in my hart. Ek kan nie wag om OUD te word nie! 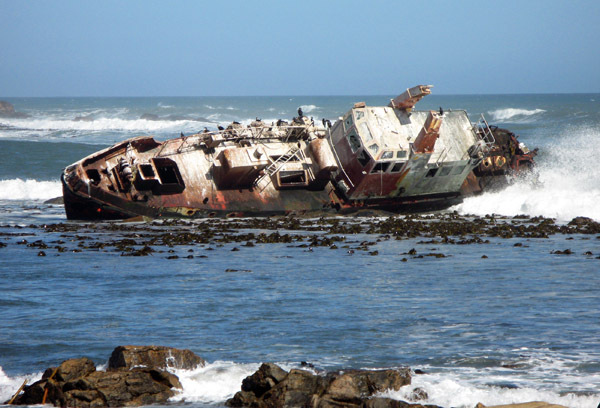 I went to Hondeklipbaai recently, stayed at Skulpieskraal. The whole town has a happy vibe. So relaxing! Took the border collie from rooi spinnekpop to the beach. Braai at night warm bed and tent. Clean showers with hot water!! Wished I could live there, but very expensive!